Susan Ralphe will be signing books at booth 39 at the Portland Book Festival on November 10th. Susan’s disease was traced back to kindergarten. On a manic high in high school, she got straight A’s while joining almost every extracurricular activity. Depression colored most of her college years. Normal demands of marriage and children brought on bipolar symptoms alternating with happy times as a family. 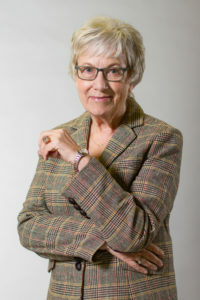 It took four years, two hospitalizations, intense psychotherapy, and trials and failures of one prescription mediation after another before Susan’s first psychiatrist got her diagnosis right, treated her with lithium and announced she was symptom-free.The author lives in the Portland, OR, area and has two sons and seven grandchildren. Her husband died in 2007 after 38 years of marriage. 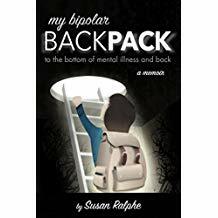 In this powerful memoir Susan Ralphe employs sharp storytelling skills honed over a long newspaper reporting career to tell her own story of long-term, heart-wrenching bipolar madness. Find out more.